Police in Lisburn have appealed for information following a burglary at a local business. A sum of cash was taken from Complete Wellness Therapies, Market Square on Tuesday (November 7). 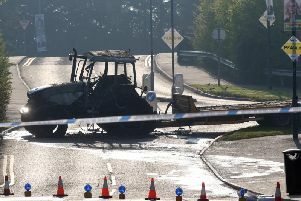 A PSNI spokesperson said that it is believed the incident occurred between 5.00pm and 6.00pm. A post on Complete Wellness’ Facebook appealed for a return of the items, they posted: “Someone has come into our beautiful space and stolen a purse from our staff room.